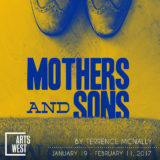 By turns smartly funny and powerfully resonant, this latest play from acclaimed dramatist Terrence McNally (Love! Valour! Compassion!, Corpus Christi, Master Class) portrays a woman who pays an unexpected visit to the New York apartment of her late son’s partner, who is now married to another man and has a young son. Challenged to face how society has changed around her, generations collide as she revisits the past and begins to see the life her son might have led. 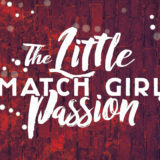 Modeled after Bach’s Saint Matthew Passion, The Little Match Girl Passion is a modern, minimalist retelling of Hans Christian Anderson’s tragic winter fairy tale. With only matches to keep her warm, a poor young girl, afraid to go home to her abusive father, takes shelter in an alley on a cold winter night. As she strikes each match, wonderful visions appear: when the last match is struck, the girl learns that the end of her suffering – and her life – is near. Featuring four of Seattle’s most critically acclaimed voices and the lyrical, hip-hop choreography of UJ Mangune, our production of David Lang’s Pulitzer Prize-Winning masterpiece is an intimate, unforgettable evening of music and dance. When starcatcher-in-training Molly meets an orphan boy longing for a home, they embark on the adventure of a lifetime to protect a precious cargo. 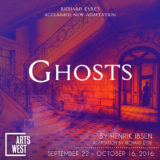 In this Tony Award-winning, magical and hilarious play with music, a dozen brilliant actors play more than 100 unforgettable characters. 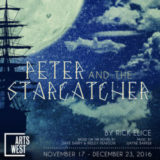 Peter and the Starcatcher uses ingenious stagecraft and the limitless possibilities of imagination to finally reveal the origins of Peter Pan, Wendy, the Lost Boys, their piratical nemesis, Captain Hook – and a far-off place known as Neverland. Thursdays through Saturdays at 7:30 p.m., Sundays at 3 p.m. Note: Peter and the Starcatcher is suitable for all ages. ArtsWest is proud to partner with Page Ahead this holiday season to host a book drive from December 4th to December 30th in our Playhouse and Gallery. Click here to learn more!